When only wine will do! 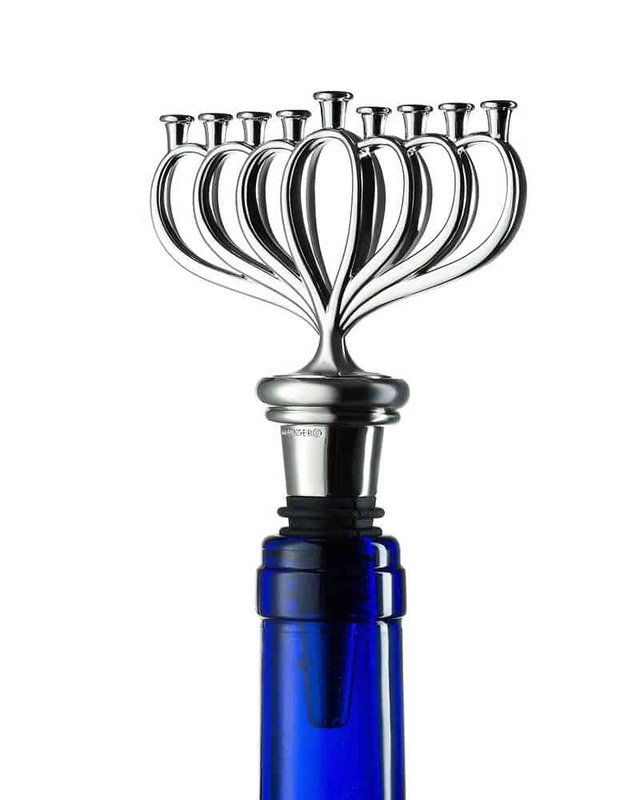 For our most discriminating customer, we’ve created the perfect Chanukah wine ensemble. 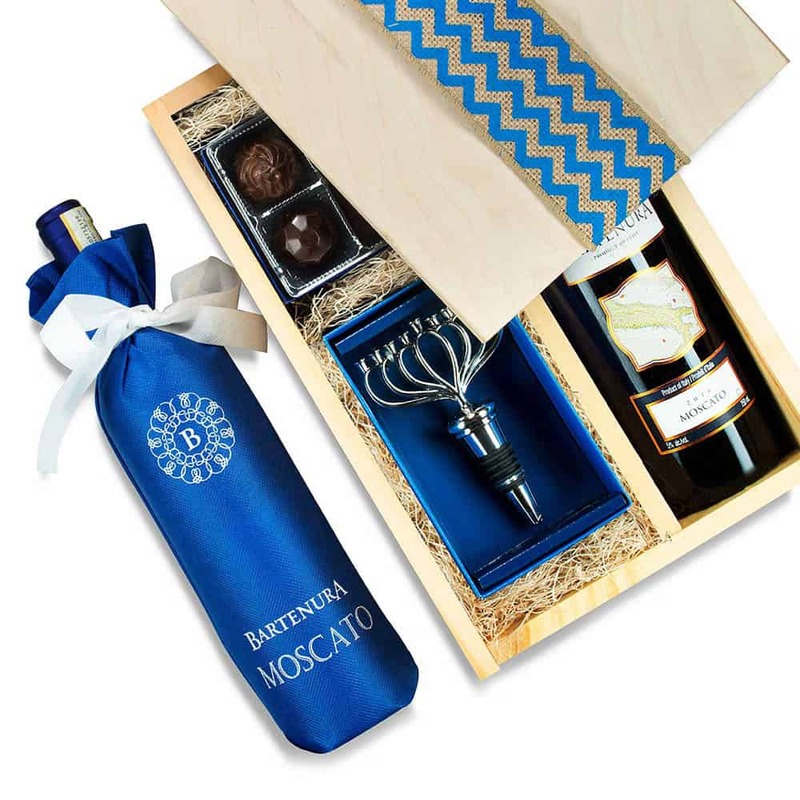 This elegant gift ensemble includes the famous blue bottle of Moscato, an assortment of decadent chocolate truffles, and a unique nickel-plated menorah wine bottle stopper. This exceptional gift arrives in a premium wooden case with a contemporary feel. An impressive gift they will long remember. Wine box measures 8”W x 13”H x 4”D. Bottle stopper measures 5″ high.